With the solid addition to their Atlanta trap discography, “Culture” and consistent features by the three members Quavo, Offset, and Takeoff, Migos have been near inescapable in music over the past year. “Culture II” hoped to continue this dominance of the charts and rap scene. The sequel to the group’s most successful album to date, “Culture” this project actually shares more similarity to earlier projects. “Culture” displays the the best of Migos condensed, paying off into one of the best trap records in recent memory. However this album shows a return to earlier albums and mixtapes. Containing a gratuitous 24 tracks, boasting an overwhelming runtime of an hour and 45 minutes. On this project Migos returned to their old school of thought, with quantity over quality. This mantra is maintained as there are only three or four tracks on the entire album that are fully fleshed out and solid. Nearly all the tracks have excellent production, though this should be expected considering Metro Boomin, Travis Scott, and Pharrell Williams are all credited throughout the album. Some highlights production wise as well as overall is “Stir Fry”, “Narcos”, and “BBO”. With “Stir Fry” being the diamond in the rough that is this entire album. This highly energized track has an incredibly fresh feel and some of the best synergy between the three on the entire album. Of the many failings of this album, lyricism is the most glaring. With uninventive repetitive hooks and bars seen on practically every track. While this speed of turnaround is impressive, one would hope that these tracks would be much more fleshed out, and mulled over for much longer than an average TV episode. 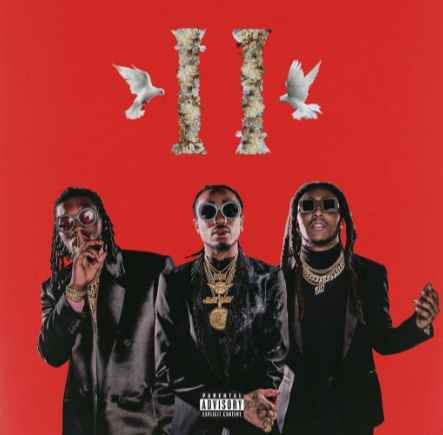 Regardless of the critical reception, it seems Migos may continue with this quick spitting out of tracks as “Culture II” recently mounted the top of the Billboard 200.